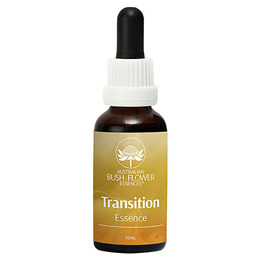 The Transition Essence Drops may help you to cope with and move through any major life changes. It may bring about an awareness of one’s life direction, especially for people who feel they are at a crossroads. Alternatively, those who know what they want but do not know how to achieve it may benefit from the Transition Essence Drops. Autumn Leaves, Bauhinia, Bottlebrush, Bush Iris, Lichen, Mint Bush, Red Grevillea, Silver Princess, 67% Purified Water, 33% Brandy (12.5% alcohol). Seven drops under the tongue, morning and night for a six week period. Can be diluted in a glass of water. 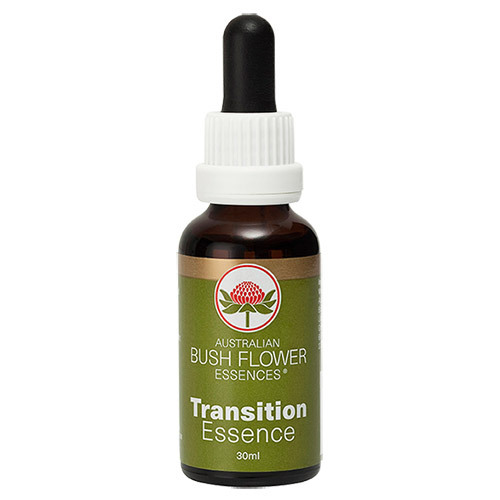 Below are reviews of Australian Bush Flowers - Transition Drops - 30ml by bodykind customers. If you have tried this product we'd love to hear what you think so please leave a review.